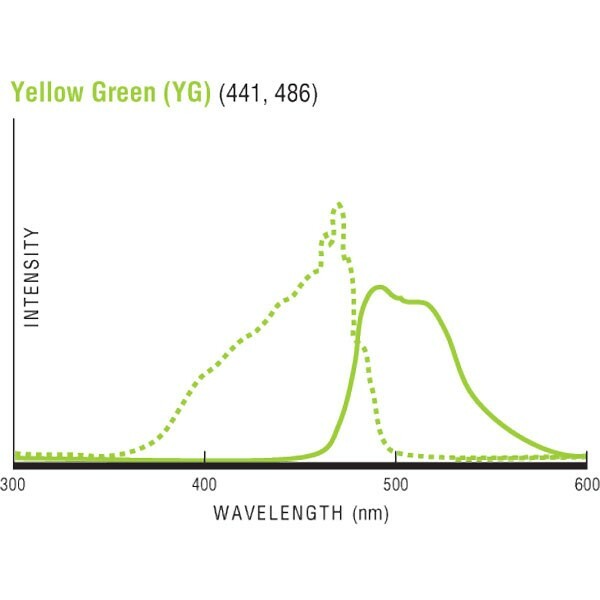 The particles in this kit allow comparison of various levels of green fluorescence. Kit contains 4 components packaged with ~1 x 107 particles per ml: a full intensity bead, two intermediate intensity beads and a blank bead. The CV's of these particles offer excellent size and fluorescence CV control. Store at 4ºC and protect from light. No biocides are added during the manufacturing process. DI water is recommended for all particle handling and dilution operations.